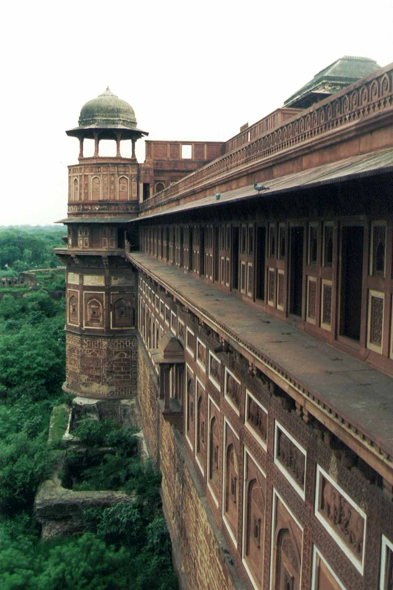 Agra Fort was built under the reign of Akbar (1565-74). The fortress, which counts among largest of the world, is surrounded by a double long enclosure of almost 2,5 km. The external wall, 12m high, is separated by a deep ditch, from an interior enclosure which reaches a 31 metres high. A the origin nearly 500 fortifications, completed these fortifications.